The future is hard to predict but we do know that one way or another our economies and societies will change dramatically as we adapt to the end of cheap fossil fuels, address the threat of runaway climate change and fix our broken financial system. A new, positive approach to this transition is emerging which sees it as an opportunity to change all of our lives for the better. This summer thousands of people will fly to Brazil to watch, and wait, as politicians struggle to live up to the ideals of the 20th anniversary of the Rio Earth Summit, hoping that by some miracle, this time, the talks will result in action to meet the scale of the climate crisis. That’s why, on the 20th June, at dawn, as the Earth Summit begins we’re inviting people to get together and make change happen where they are by celebrating 24 hours where anything is possible, 24 hours when we come together around the world to dream a new world awake. International political action is vital, but we can’t afford to leave it all to big, global conferences. People are tired of waiting for others to act: a growing wave of alternatives from the Transition Town Network to the Occupy movement, ecovillages and thousands more besides are not waiting for leadership but experimenting with new forms of activism and new ways of living for themselves. Real leadership is as likely to come from people voting with the feet and imaginations to ask better questions, imagine better worlds and sample living differently as it is to come from those attending the summit. The Festival of Transiton is an opportunity to re-imagine the future, to taste transition for yourself, wherever you are. Together we can send a message to our friends, families, communities and to world leaders that we’re ready to embrace change and make something great of it. For example, people in Transtiion Town Totnes in the UK will be rising with the dawn for 24 hours of dreaming a new world awake. A feast of planned activities include an afternoon of experimenting with the high street of the future: of food shared, of participatory story telling, life sized snakes and ladders games of choices and challenges for a resilient life, skills swaps, making and mending workshops in the town square, celebrating life, not shopping. A group in Senegal will spend the day planting a food garden for the summer, celebrating the planting with their neighbors, making drinks and snacks using only locally-produced including baobab fruit juice, hibiscus juice, ginger juice, and lots of tropical fruit and vegetables. All around the world, for 24 hours from dawn on 20 June until dawn on 21 June, people are preparing to get together and take action to breathe a new world awake. 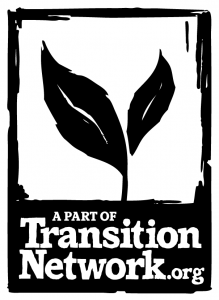 The Festival of Transition is an opportunity for all of us to question, taste, and experiment with living better within life-preserving environmental limits. We believe that once people take a first step, they’ll want to keep on walking. Until we try doing things differently, we won’t know what we are capable of. Whatever happens, we intend to enjoy the process. Check out the full menu of ideas on the Festival website, customise one to work for you (or your school, or your workplace, or your town) or dream up a new one and pledge to make it happen.